Why should you select Fiverr for business? Fiverr is the online global marketplace has to offer services starting from the basic of $5. Fiverr is only 4 years old and its easiest way of working, newbies friendliness and the quality services makes it the most growing digital marketplace in the World. As Fiverr doesn’t ask the sellers for a hill of requirements to start their career, so it’s the most preferred platform for the newcomers to start freelancing on Fiverr. In this tutorial, we’re going to share some of the secrets that will make select Fiverr for business. Fiverr is easy quite easy to start. It’s not like a job where you’ve to wait for an interview call or worry about a successful interview. All you need is a valid email address and that’s it. Just go to the Fiverr homepage and click “JOIN”. Create a Fiverr account, and start selling on Fiverr as a New Seller. Fiverr doesn’t have a complicated website layout. It doesn’t apply complex ways of selling. After signing up you just need to create Gigs and wait for the orders to come. However, this wait can take one day, one week, one month or even a year. Fiverr is the easiest freelancing platform for the newbies. Doesn’t matter you’ve got an experience in this marketplace or not, you’re welcomed. However, easiness is something more difficult in the present era. There was a time when you were just one step away (i.e. 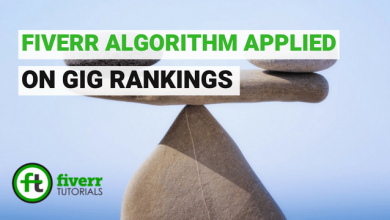 creating a Gig) from ranking in the search results. Now, there are over 3 million Gigs active on Fiverr, which makes the competition bit more tougher for the sellers. The existing sellers have to struggle in order to retain their identity, while the new sellers have to start from scratch to make their names. But its still a better choice for the new freelancers. Well, it’s favorable both as a buyer and the seller. If you’re a seller then the buyer can purchase the quality services for just 5 bucks. And at the same time, you can hire a quality service provider just for 5 bucks. Fiverr is carrying the most number of buyers and the sellers at the same time than on other platforms. Other platforms like Upwork and Freelancer are bit difficult for the newbies so the majority of professionals prefer freelancing on Fiverr. 6) Sell What You Want! The sellers can sell anything they are expert at. It’s not compulsory that you must have programming, developing or particular IT skills for freelancing on Fiverr. Fun also sells well on Fiverr. Especially the Europian buyers love buying services like gift cards, event covers and even the funny jokes and pranks etc. So, it doesn’t matter to which field you belong, you’re welcomed to make a handsome business on Fiverr. Most of the people especially the new sellers assume that they have to offer their services starting from $5 if they want to be successful on Fiverr. Damn, that’s no longer preferable! things have moved forward. Now, you can offer services at your desired prices including the custom offers. Remember, offering services at cheap prices can make the buyer assume that you offer services which could be cheap too. 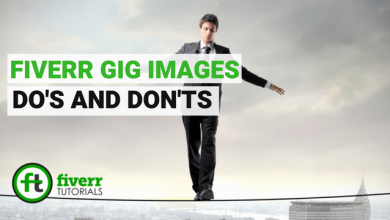 So, ask for reasonable prices while freelancing on Fiverr. Fiverr has a straight-forward payment process. There is no hole for the buyer to stop or escape your payments. While the order is being placed, the buyer pays in advance to Fiverr. As soon as the order is completed, the budget is granted to the seller deducting the per order charges by Fiverr. 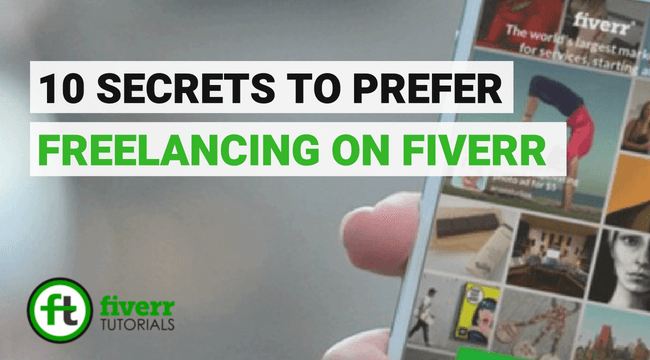 Thus, Fiverr has an authentic and upfront payment methods so you can’t face any scam or fraud, which makes it a strong candidate for freelancing. You mostly meet with the agency clients on Fiverr. They have hundreds of clients back with mini tasks, they offer you those projects at $5 and sell that for $10. The benefits are that you get a long-term and permanent client. If you need any consultancy or face any problem, you can instantly contact the Fiverr Support. They are a friendly nature crew and answer each and every question. This assists you a lot when you’re new at Fiverr and commit a number of mistakes. Doing those mistakes can also leave you in the account loss, but contacting the Support you will get major benefits. No doubt Fiverr has enjoyed a tremendous success over the times. Even though it’s not too old but the freelancers especially the young generation have a dream to start freelancing on Fiverr. That’ what makes it a complete brand! You just need to explore your talent and start selling it on Fiverr.